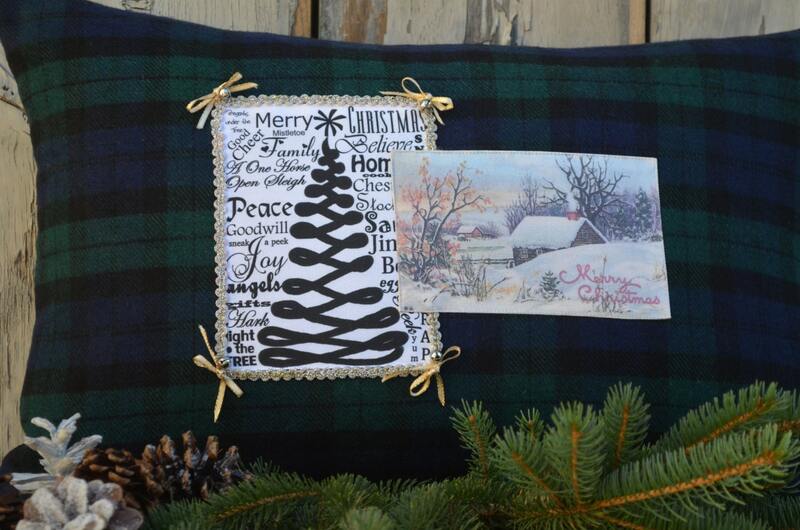 This beautiful Christmas pillow embodies all the feelings of the holiday season! We have featured one of our favorite Christmas graphics as well as a vintage postcard image of a cottage in the snow. 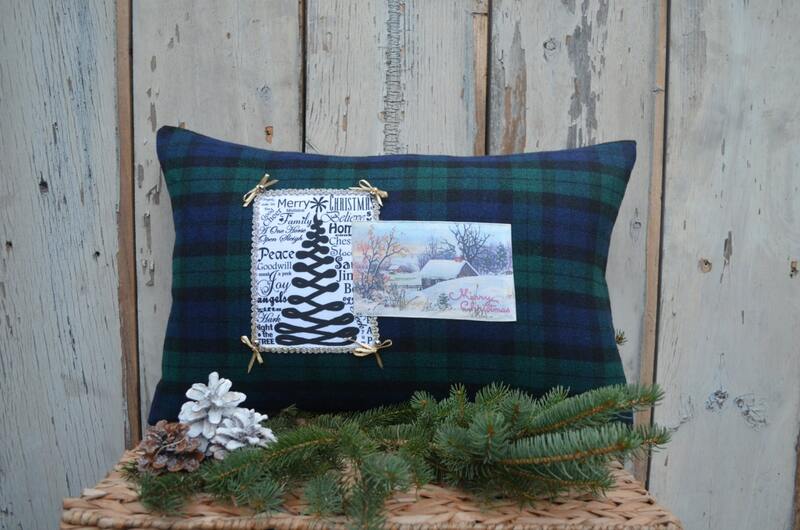 The pillow is double sided and is made from 100% wool in the classic black watch tartan pattern. It is closed at the bottom with a zipper. The pillow measures 22 1/2 inches long by 14" high. It comes with a 95/5 feather/down insert.